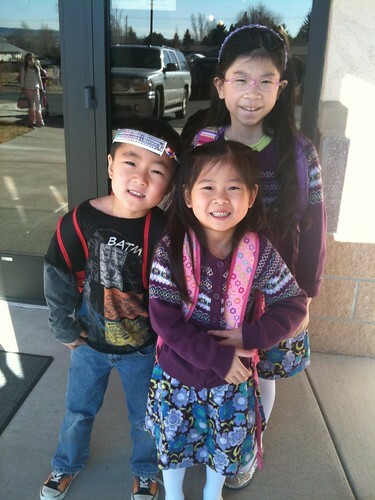 Dropping kiddos off at enrichment. Each Thursday, they attend an enrichment program for homeschooled kiddos. It is similar to a regular school day but they just do things like art, science experiments, gym and some language arts. They don’t do any regular curriculum, but they do some unit work and have learned a lot and enjoy the other peeps there. This entry was posted on Tuesday, March 15th, 2011 at 8:22 pm	and is filed under homeschool. You can follow any responses to this entry through the RSS 2.0 feed. You can leave a response, or trackback from your own site.